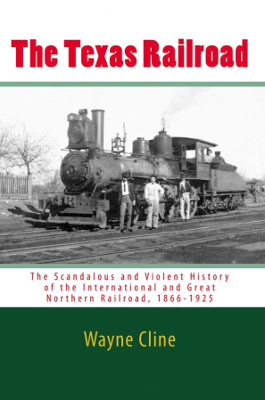 Description: This is the first book which thoroughly covers the history of the International & Great Northern, an important appendage of the burgeoning Missouri Pacific system. It ran the eastern spine of the Lone Star State from Longview to Laredo with branches extending to Fort Worth and Galveston. Its original promoters had high hopes of building from the Gulf Coast to northern plains but much larger interests with deeper pockets curtailed that dream. 362 pages. Viewed: 573 times since June 21, 2018.